Last year, I wrote a tutorial about creating screenshots for app stores for RayWenderlich.com. In the tutorial, I mentioned using a website called PlaceIt.net because they have a great variety of options and pricing to fit every budget (yes, even Free). Today, I want to take you through step-by-step on how to fully utilize their site to create amazing promotional material for your apps and games. PlaceIt.net lets you upload app screenshots, images, URLs, videos, or screen captures (using RecordIt) into beautiful photographs and videos to help advertise and promote your product or brand. You can sort by devices, interactive video, still shots, video, multistage, etc. and then it will list the require resolution needed to fill the stage. You can choose to drag and drop an image, upload it, or even just provide the URL to the image you’d like to insert. If your image doesn’t fit perfectly, you can adjust the cropping to completely fill the area. Once you’re happy with the result, you can choose to Add Effects or Download. 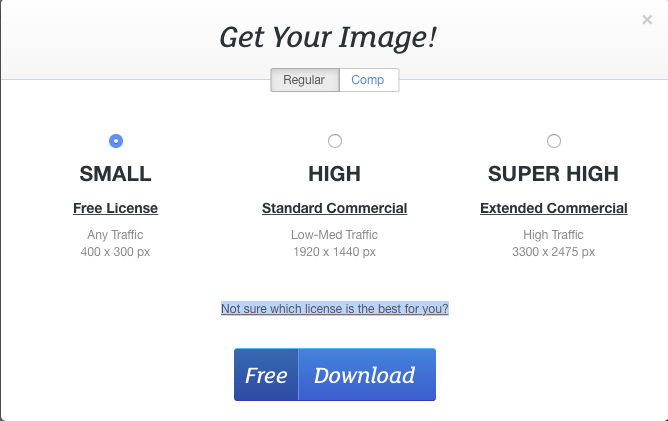 When you click download, you’re given the options for the Small Free Version, the High-Res Commercial, or Super High-Res Extended Commercial versions. Depending on your desired use, you’ll have to determine which version you’d like. 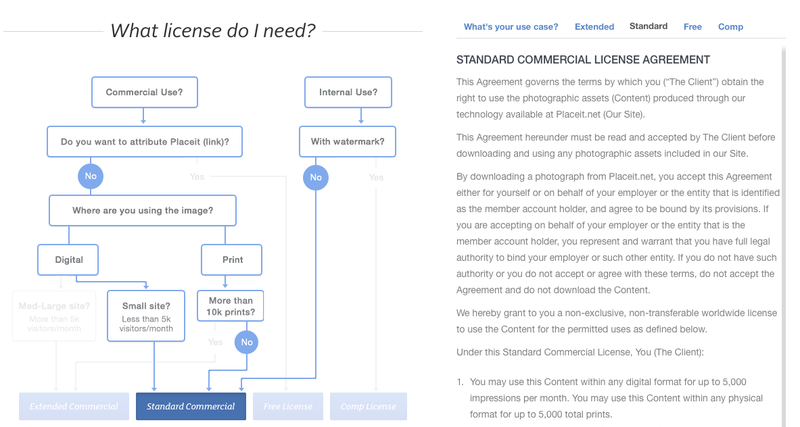 If you’re unsure of the differences, you can click the “Not sure which license is the best for you?” link and it will explain each license in detail. There is where PlaceIt.net really shines. Sorting by Video, I chose a panning video that would show my children’s book app, Maddie Bear’s Birthday, running on an iPad. I didn’t have a pre-recorded video handy, so I clicked on the Record Your Screen option. This allowed me to download RecordIt, and record the iOS Simulator running on my computer. Once complete, the video uploaded and I was able to view and download it. Here you see the free version that I downloaded, which has a watermark on it. Paid downloads do not contain watermarks. Pricing on PlaceIt.net varies depending on the type of media, license, and if you choose a subscription plan or single purchase. Still images range from Free to $59 USD for single purchases and videos range from Free to $189 USD for single purchases. If you you know you’re going to need to download a few pieces of media, it’s worth signing up for a subscription plan. Plans range from $12 a month to $299 a month depending on how many you’re going to need on a monthly basis. Since they have pricing ranging from free for casual users through $299 a month for corporate users, it really feels like PlaceIt.net is trying to accommodate every user and every budget. The sheer number of images, interactive videos, and videos along with flexible pricing, makes PlaceIt.net unparalleled to any other service I’ve tried. In the past, Promotee software was my go-to when I needed a quick promo image of my apps, but it is very limited in the devices you can show, and there’s no option for video. I can’t recommend PlaceIt.net enough for promos and advertising your products.